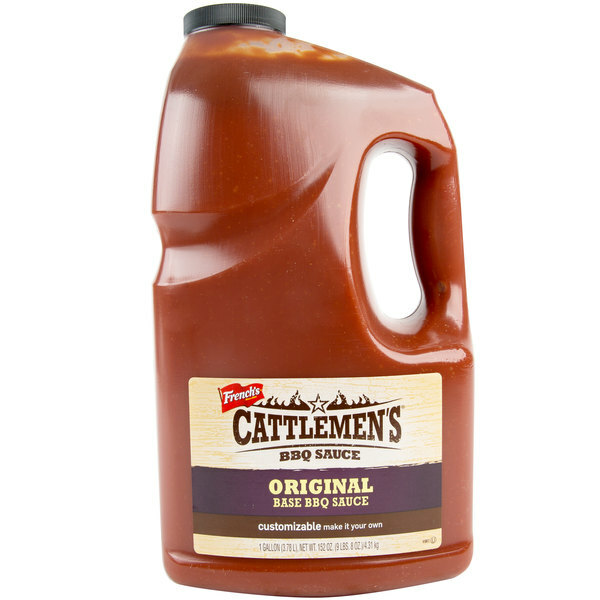 Smooth, robust, and tangy, Cattlemen's 1 gallon original base barbecue sauce boasts a rich, mouthwatering flavor profile with a tinge of garlic. 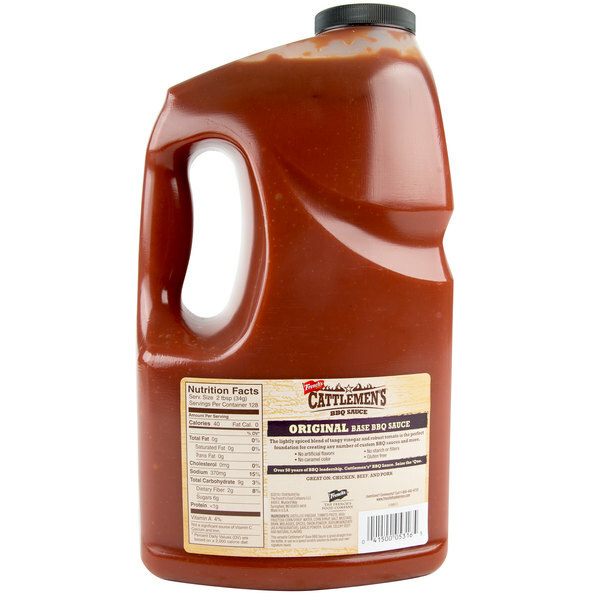 Its traditional tomato flavor is enhanced by a balance of spices that allow this sauce to be used straight from the bottle or as the foundation for a custom house sauce. Try blending in some chipotles in adobo for a smoky and spicy embellishment, along with orange juice for the perfect sweet and sour complement. The possibilities are endless! 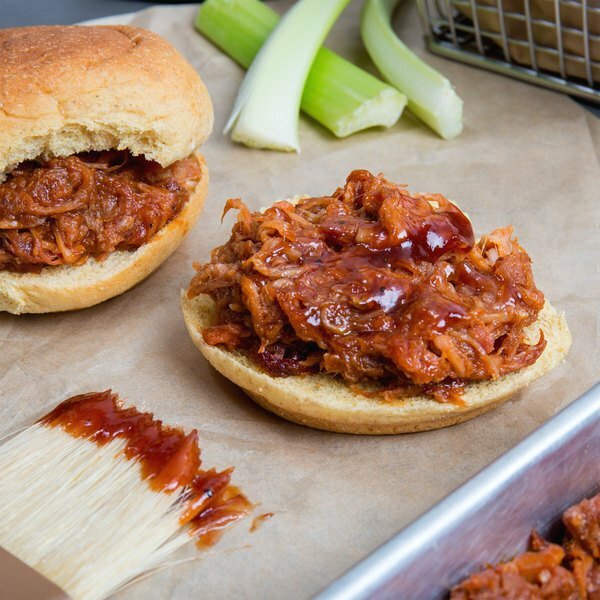 No matter how it's prepared, the sauce is sure to pair well with bright and refreshing flavors, from cole slaw and beans to chewy ciabatta bread. Adding multiple dimensions to a dish, the sauce complements thick, juicy steaks, grilled chicken, and seasoned pulled pork. It also enhances natural flavors; try serving it in a small dish for dipping wings or chicken tenders. From classic crowd-favorites to signature, gourmet dishes, this barbecue sauce delivers incredible flavor for an unforgettable meal. 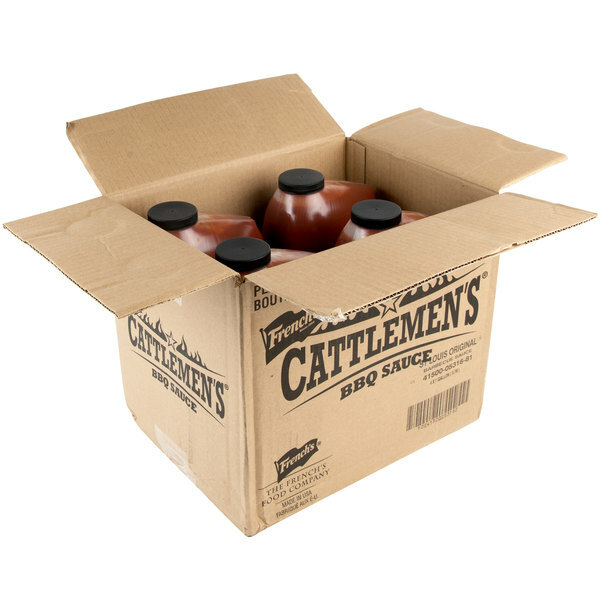 Specializing in bold, mouthwatering barbecue sauce, the Cattlemen's brand is owned by French's, a company that has been dedicated to quality and flavor for over 100 years. Stemming from French's classic yellow mustard, invented in 1904, the company has a rich history of creating delicious food product lines that bring customers to the table. Use any French's product while creating your specialty dishes in the kitchen to achieve the perfect blend of satisfying flavors that customers love.